There is no question about it, 2011 was a stinker for Red Sox outfielder Carl Crawford. Acquiring the best player from the rival team was supposed to assure that the Red Sox would surpass the Rays in the AL East, but instead Crawford’s disappointment was amongst many others for Boston as they failed to make the playoffs. What followed was a tumultuous off-season that saw the departure of the manager and general manager. However, Crawford remains. While last year’s struggles can be tied to Crawford’s acclimation to a major market for the first time in his career plus some nagging injuries, don’t forget the reason why fantasy managers liked him so much heading into last season. He is a line drive machine who should be able to use the Green Monster as a weapon, while adding speed to the top of the lineup. Part of the issue for Crawford’s poor numbers was the fact that he was pushed down to the seventh spot of the Red Sox lineup. As a result his runs took a major hit. Always interested in the psyche of his players, expect Bobby Valentine to give Crawford every chance to succeed towards the top of the order. Bloomberg Sports Front Office expects a decent bounce back from Crawford. He should blast 14 home runs with 35 stolen bases and a respectable .281 batting clip. Of course, this can only happen if he stays healthy. Crawford is currently dealing with a sore wrist that is threatening his ability to be a part of the Red Sox lineup on Opening Day. Expectations have never been lower, which makes him a decent middle round sleeper considering his sky-high potential that made him a bust last season. For many years we have come to expect 30 home runs and 100 RBI from Alex Rodriguez. 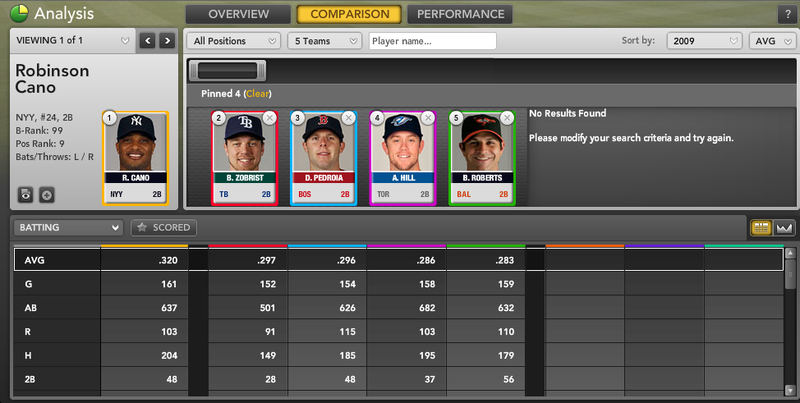 Those benchmarks also came with great run production, solid stolen base totals, and a batting average north of .300. Not anymore. Last season we saw that even the great ones are mortal. A-Rod managed just 16 home runs as he was hampered by injuries all season. Though he looks to be in great shape entering the spring and had some medical procedures done during the off-season, the big question in the Bronx is whether it’s even possible for A-Rod to return to prominence as an elite slugger. The answer is probably no. There is a very well known pattern for players entering their late 30s tailing off in production. It is also clear that Rodriguez is not as healthy as he was when he was younger. It was five years ago that he last played 140 games in a season. Bloomberg Sports does anticipate a mild bounce back. A-Rod should pound 23 home runs with 82 RBI. That would mean he finishes the season with an astounding 652 career home runs. Unfortunately, we are at the point in A-Rod’s career where we will celebrate what he’s accomplished over time rather than on a day-to-day basis. It was shocking enough that an ace would tame Coors Field, it’s even more mesmerizing that he actually regressed when traded to a far more pitcher-friendly ballpark. Ubaldo Jimenez was an elite pitcher in 2010. He finished that season with a 19-8 record, but was even more dazzling at the All-Star break with a 15-1 record and 2.20 ERA. Since then, Jimenez has regressed to being a barely above average hurler. In the second half of the memorable 2010 season, Jimenez went 4-7 with a 3.80 ERA. He then struggled out of the gate in 2011 and was traded to the Indians when his record was 6-9. Things went from bad to worse, as his ERA soared to 5.10 during his 11 starts with the Indians. Jimenez will try to start from scratch this season, and while his results in his first two spring training starts are not very promising, the good news is that his fastball is back over 95 MPH for the first time since 2010. Regardless, Jimenez remains a risky pick for fantasy managers. He should offer plenty of strikeouts, Bloomberg Sports projects 208, but his lack of control could lead to a WHIP and ERA well above what he’s offered when he was at his past two seasons ago. each player’s strengths and weaknesses. percentage last year fall well short of elite status. (slugging percentage minus batting average) was a sky-high .246. Jamie Cevallos. Still, some regression toward the mean is expected. information on good second base options, check out Bloomberg Sports’ fantasy kit.